Well, it is St. Patrick’s Day and the think I hate most about the holiday is the droning of bagpipes. To me, bagpipes are the most irritating instrument to listen to, especially when they are dragged out for police funerals…oh lord, they make me wanna cringe! 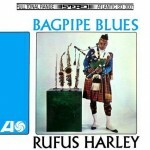 Yet it is the very nature of a droning bagpipe when applied to Jazz by Rufus Harley that makes the instrument take on a new life. Harley recorded four Joel Dorn-produced albums for Atlantic Records in the late 1960s and this tune was actually released as a single. The four albums were collected together a few years ago onto a limited edition 2-CD set released by Rhino Handmade called Courage: The Atlantic Recordings. 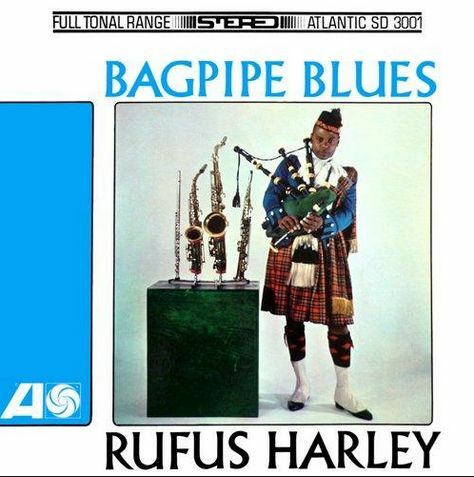 Harley had the knack for taking the limited range of the bagpipes and applying them to a new medium, making them sound like a soprano sax. Hearing him fly on material as varied as Coltrane’s “A Love Supreme,” “Chim Chim Cheree” from the film Mary Poppins, “Eight Miles High” by The Byrds and Henry Mancini’s classic “Moon River” are indeed sonic marvels to behold. Harley remained active on the Jazz circuit until his death in 2006 working as a sideman with Sonny Rollins and Herbie Mann, and recording with Laurie Anderson (on the Big Science album) and The Roots.